My mom always made stuffed bell peppers for us when I was growing up. 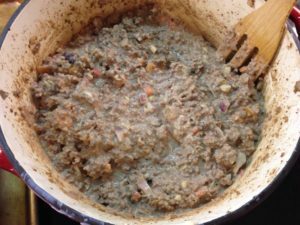 She added a can of cream of mushroom soup and white rice to her meat mixture. 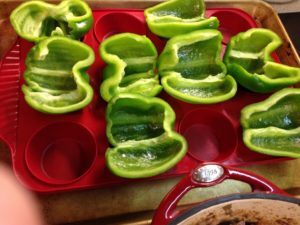 I was thinking of a good way to utilize bell peppers because they are soon to be in season. And just a great vegetable! But since I really like cooking from scratch AND I am making things the Trim Healthy Mama way, I knew canned cream of mushroom soup was out along with white rice. Had to rework the recipe and this is what I came up with. I have to say this might be one of my most favorite creations!!! All my kids ate it without complaint and even asked for seconds. 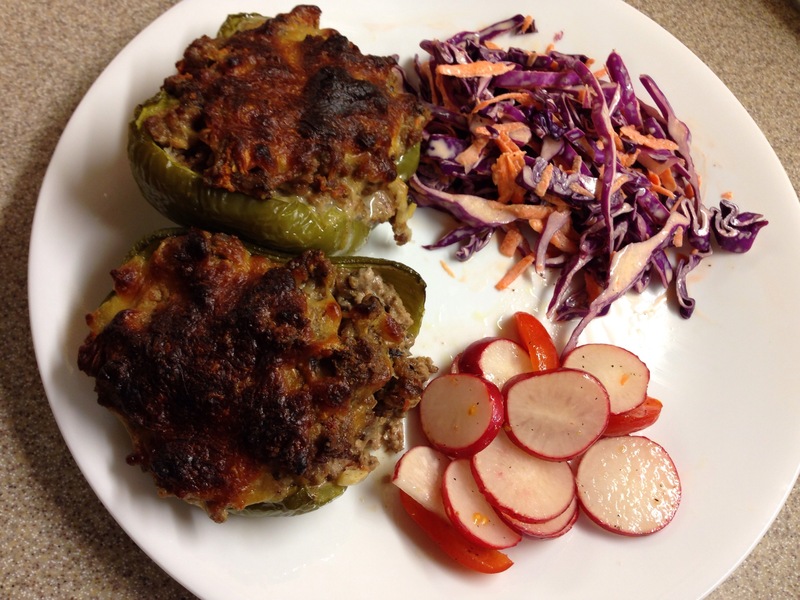 My husband said it was “DELICIOUS”… yay for another successful recipe & it’s TRIM HEALTHY MAMA approved!! Not only is it made from scratch but it also is fairly easy and not very expensive!! 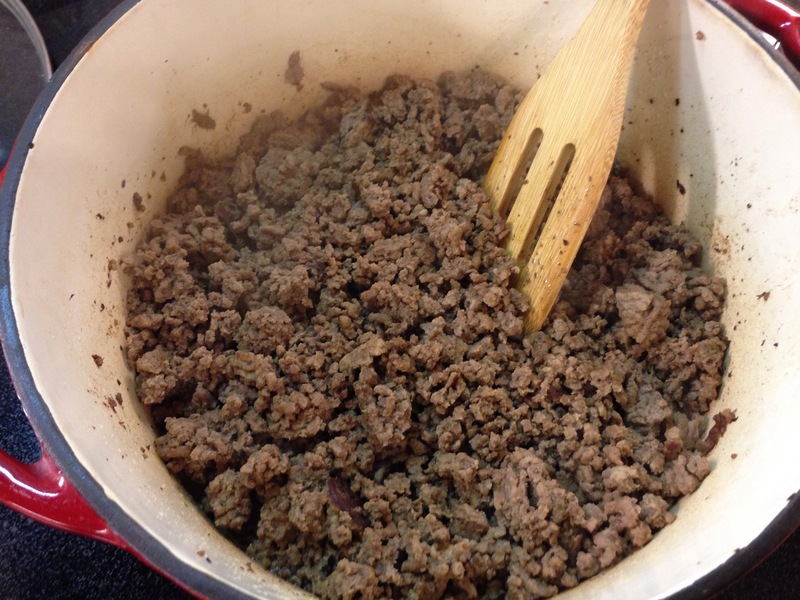 Brown the meat (I used ground beef, but you could use ground Turkey or Sausage). Chop the vegetables and add it to the ground meat. Add butter, cream cheese & seasonings. Stir well, then add a little water. Clean and cut in half bell peppers. Take out the inside carefully. I set them on a muffin tin to keep them steady while they baked. Fill with the meat mixture. SOOOOOOO Yummy!! I served mine with cole slaw and a radish and tomato salad with an olive oil vinegar dressing. Also, this is an S meal if you follow Trim Healthy Mama! An absolutely delicious stuffed pepper recipe! Chop the mushrooms, onion, & garlic. 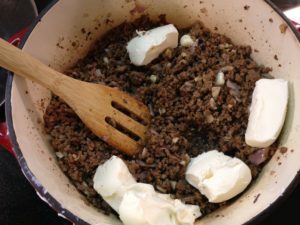 Add vegetables to browned meat. Add butter & cream cheese. Stir together. Clean and cut bell peppers. Remove insides and fill with meat mixture. Bake for 30-40 minutes on 400 degrees. 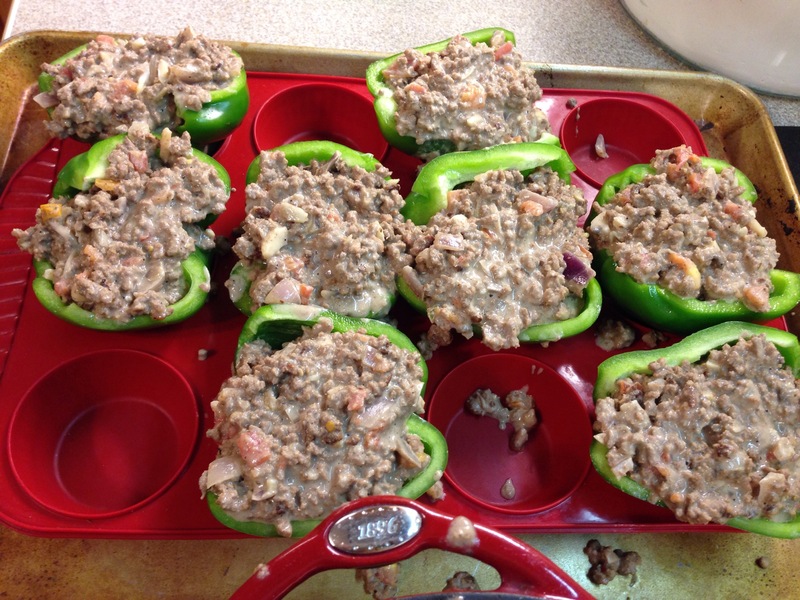 I had left over meat mixture so this could actually make 10 to 12 stuffed bell peppers. Yum yum!! 🙂 Thank you!!! 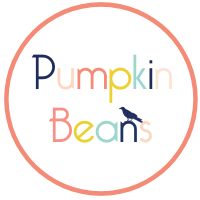 Would i be able to substitue a different vegetable other than mushrooms and still keep it THM friendly? This is my all time favorite recipe. My husband and I love these stuffed peppers, and I thank you so much for the tip about cooking them with the muffin tin!!! These are absolutely delicious!!! Thank you!!! These look SO SO good! 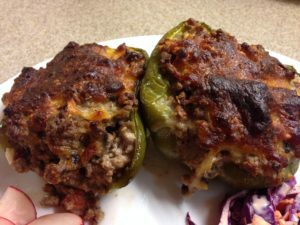 I LOVE stuffed peppers. These are going on my menu ASAP!! Thanks so much for all of the delicious recipes! 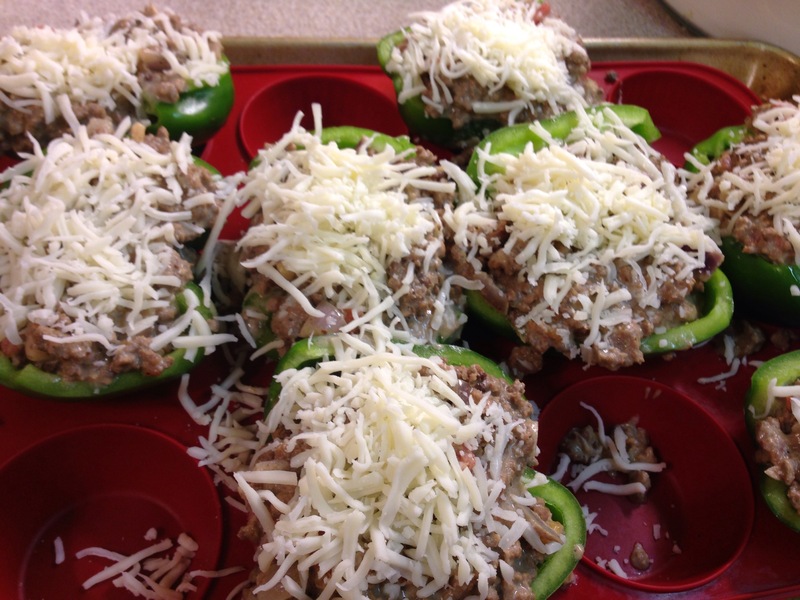 These look so delicious and can’t wait to make them this week. My question is that the ground beef, if not very lean, and the cheese makes this an S meal so wouldn’t one want to keep the added veggies to the non starchy kind? A fourth cup of brown rice or quinoa could go in for each serving if I’m not mistaken. Love the muffin tin idea! 1/4 C Quinoa per serving or for the entire mixture? Also, I was wondering if you could drizzle sugar free spaghetti sauce over top before the cheese. Yes that would work!! And yes you can drizzle the spaghetti sauce over the top!! Just wondering why you use low-fat cream cheese? I the THM cookbook for S meals they always just use cream cheese. Hi! 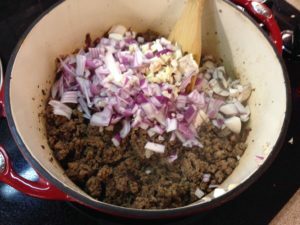 I’m making this tonight using ground pork. Do I need to drain the meat after its browned? I didn’t drain. I will next time. It was yummy though. I use My Fitness Pal and about died when I entered the recipe today. Calories don’t matter though right? Just wondered if you have tried freezing this mixture? As there are only two of us at home now, it would make way more than needed for a meal. I like to have easy meal prep items in the freezer. Thanks! 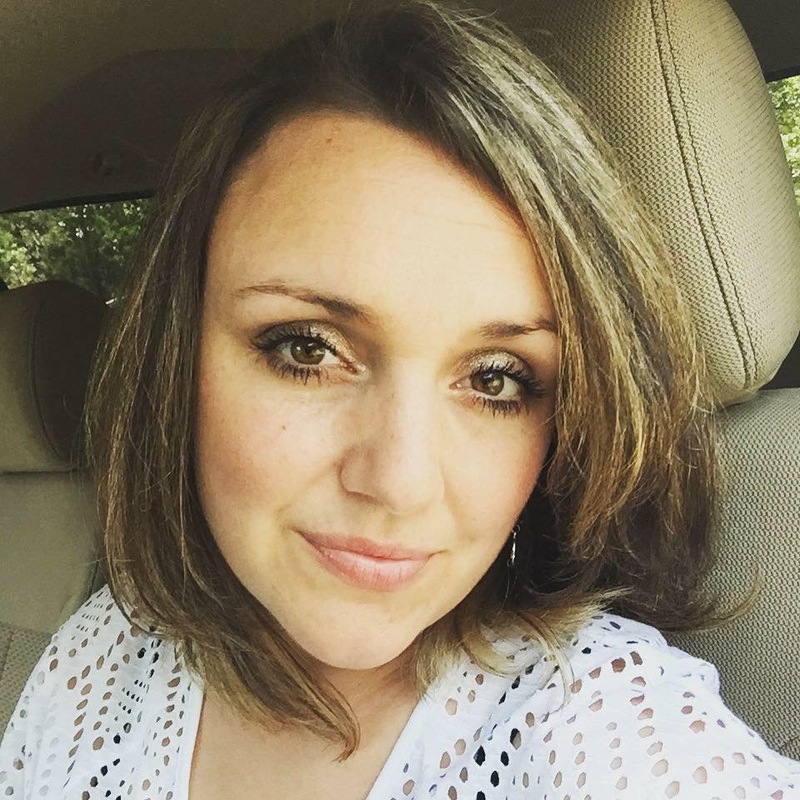 I have not… need to try that! I think I will try to freeze the mixture! What kind of mushrooms did you use? I only have the canned kind right now. Would that work?? Any mushrooms will work! If using canned just drain the water good! This was so very yummy! I was cooking for a crowd, so I added riced cauliflower to the beef while it browned. To compensate for the extra , I added 2 oz more cream cheese. GOING TO TRY THIS TONIGHT, SHOULD I USE OLIVE OIL ON PEPPERS OR IN THE MIX? 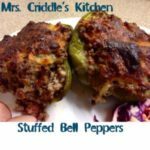 I made these tonight and hubby and I both loved them! I had a cauliflower I needed to use so I riced it and added to the meat mixture. I also doubled the recipe so I could put one batch in the freezer for later. Thank you for a great recipe. I was able to use my bells from the garden before the cold gets them tonight. Could I still make this even without the cream cheese and mozzarella cheese? Sure.. you could replace the cheese or just leave it out.